Hey guys! It's been a stressful year and life has thrown us some curveballs we weren't really expecting. 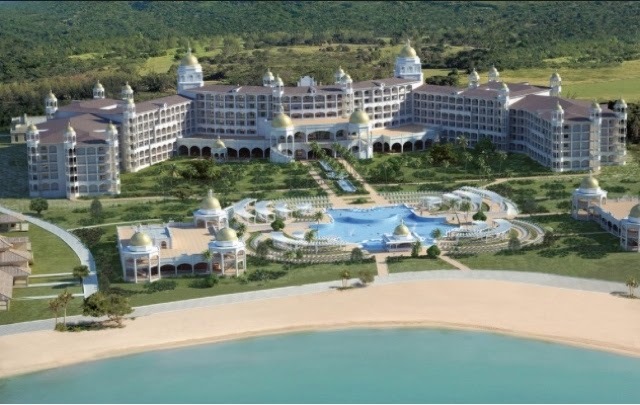 As things have finally kind of fell into place, we have decided to take a MUCH needed vacation to a tropical location for a week of R&R in the sand & surf. 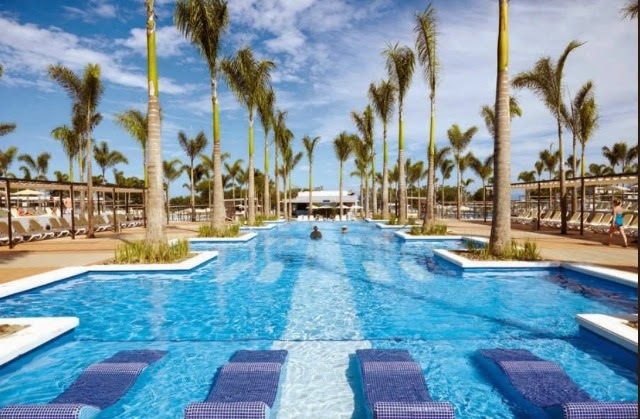 We will be flying into Liberia and spending our days and nights here at this all-inclusive resort in Costa Rica. 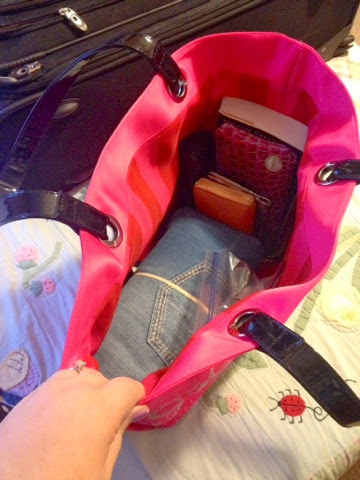 I'm somewhat OCD when it comes to packing for a trip (I have a makeup bag and travel toiletry bag that both stay fully packed, ready to go). 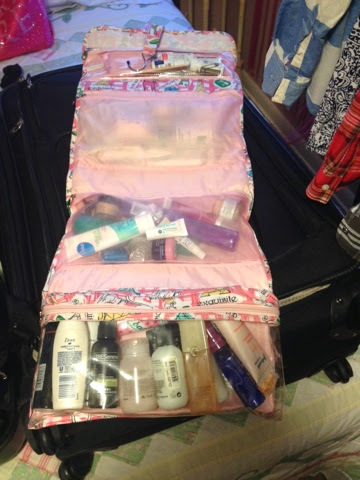 While getting ready for this week of pampering, I thought I would show you some essentials I've packed, how I've packed them, and some of my personal tips when traveling abroad. I'm not going to go into detail about clothing, this is just about products/tips & tricks, etc. 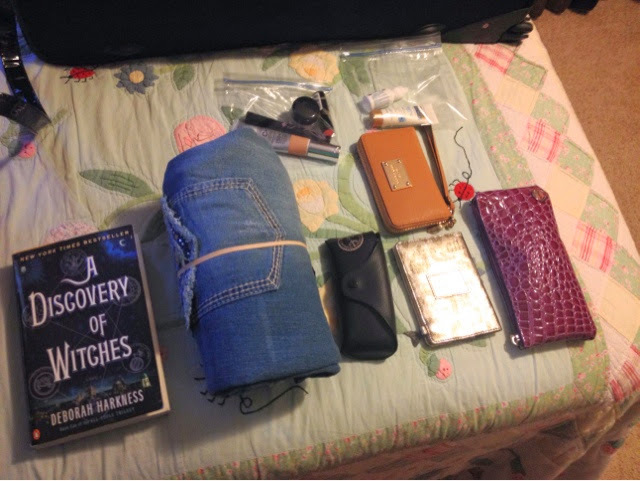 I'll briefly give you an overview of clothing items I packed. I think it is best to pack a couple of days before leaving. Inevitably you will go over in your mind everything you've got, and if you think of something you might have missed you can just throw it in your things. For this trip I have 2 bags I will check and 1 carry on. 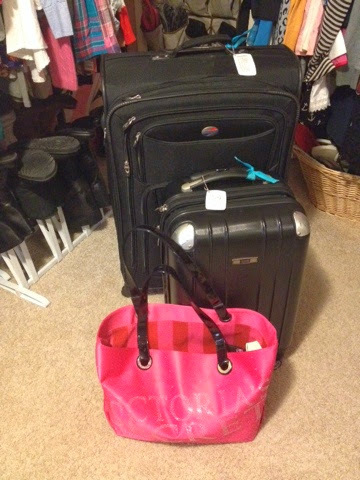 This is for 2 people, the pink VS bag is all I will be carrying (no purse or anything else). 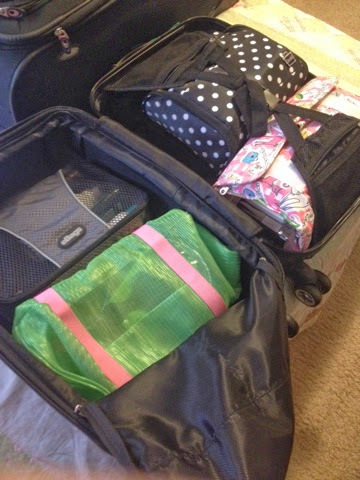 *tip : make sure you have luggage tags on all your bags, and tie a bright ribbon of the same color on all your suitcases. They will be easier to identify when they come off of the carousel. My larger suitcase is for clothing and shoes. This is strictly a low-key relaxing vacation, so I didn't go all out. 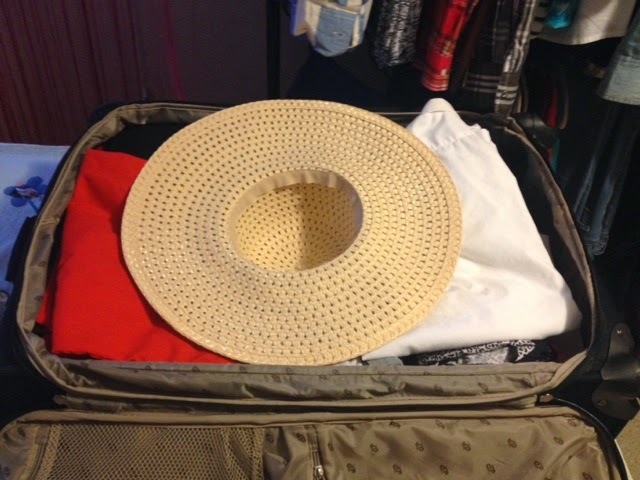 However, packing for the beach always leads to more than average clothing to be packed. 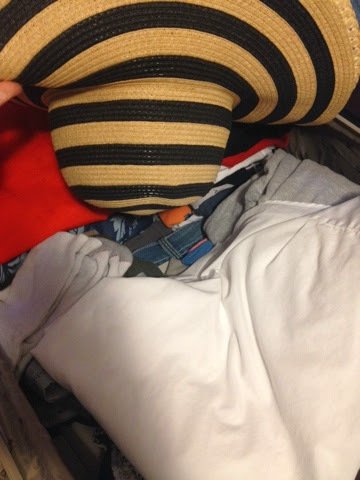 Basically I packed t-shirts and shorts for both of us to lounge in, a couple pairs of trunks for him, 3 bathing suits and a couple cover ups for me, then just undergarments, a pair of flip flops for each of us, etc. 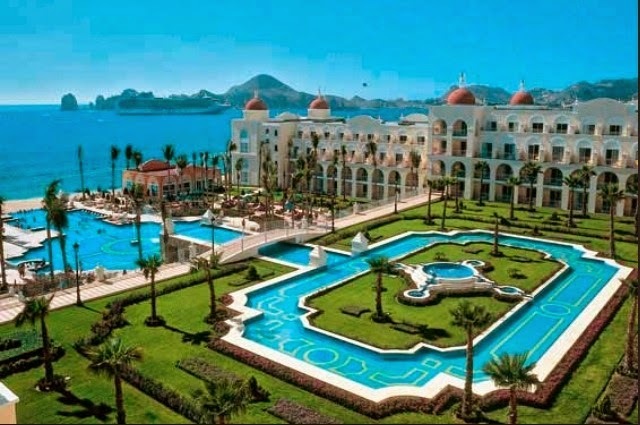 At the resort there are a couple of restaurants where 'formal' attire is required. Again, I'm not going all out on this trip like I would, say, on a cruise or something. So I just packed a couple summer dresses for me and a pair of khakis and a polo for him. 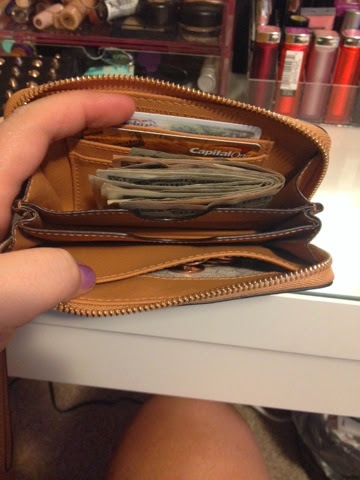 When traveling abroad I never take anything expensive or fancy, or that I would be too heartsick over losing. Jewlelry is at a minimum. Safety is somewhat compromised overseas, and when in doubt, I leave it at home. This is also where I packed my big, floppy hats. As someone who has had skin cancer, these are a must for protecting your head/face. 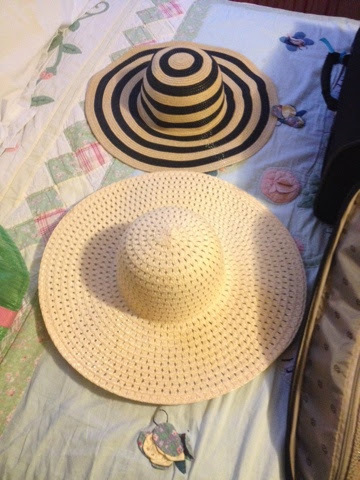 I don't like rolling these up or cramming them into a bag, so I arranged my clothing to where there was a dip in the middle (so the head of the hat could rest in it) and laid my hats top-down in it. Takes up virtually no space and they lay flat. 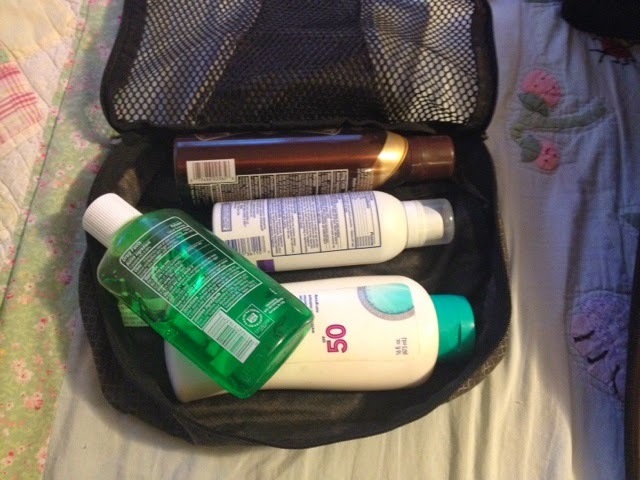 My smaller suitcase has all my toiletries, makeup bag, sunscreen, etc. 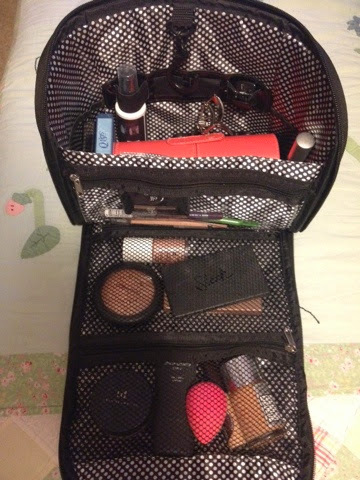 Same travel makeup bag I have shown in previous blog posts. 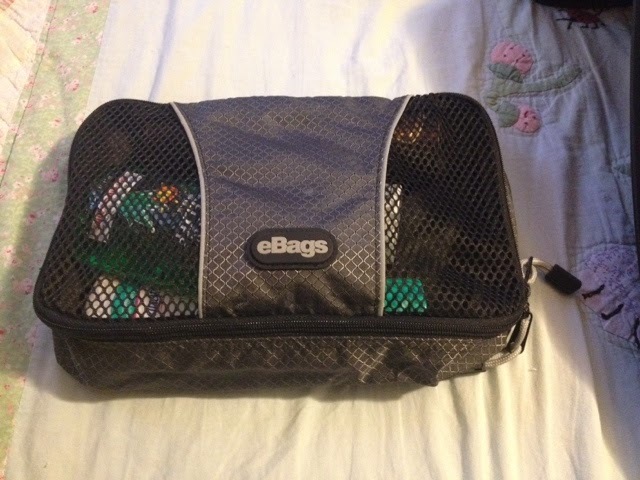 This stays packed, I never take anything out of it (I despise packing things I use at home in a travel bag, you always have to come home and unpack right away, ugh). Has everything you need in it. 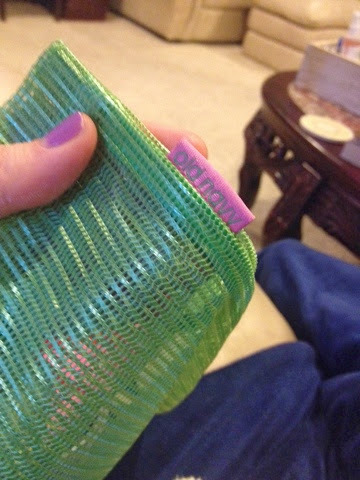 Even though I don't plan on wearing much makeup on the trip, I take this everywhere I go. It's just so easy and convenient, it has a hanger to stay up and out of the way, I just love it. 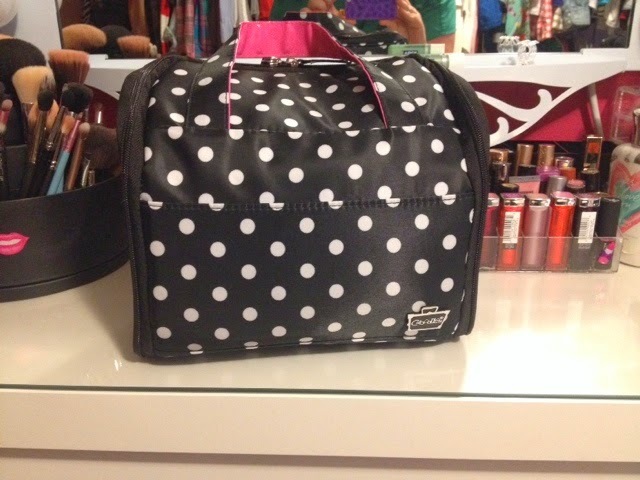 Same travel toiletry bag I've shown in previous posts. 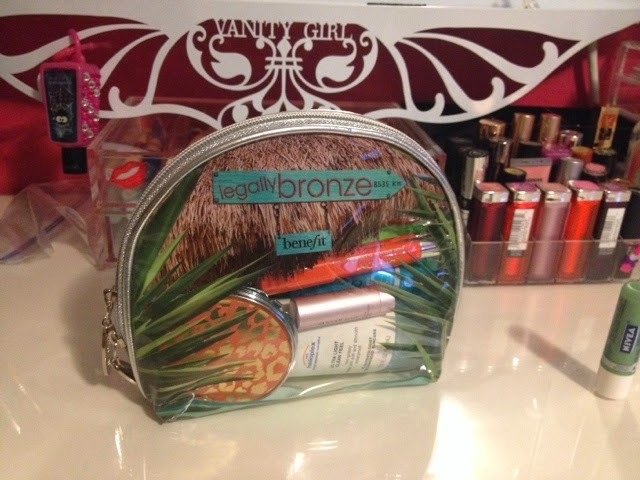 Again, this stays stocked with beauty-related essentials. So when I'm ready to travel, I grab it and go. It also hangs and separates everything nicely. It has cleansers, soaps, moisturizers, eye creams, lotions, razors, toothbrushes, toothpaste, gloss, hair spray, dry shampoo, shampoo/conditioners, hair ties, bobby pins, ear plugs, nail clips, deodorant, heat protectants, nail polish remover, and anything else you could possibly need. A bag of sunscreen. I use tons of it. I also like to have a bottle of aloe to put on at night after a day in the sun. And the last thing I have I this suitcase is my beach bag. Sandy beaches can be sticky and yucky, so I always take a bag I don't care getting dirty and that dries quickly if it gets wet. I got this yearsssss ago at Old Navy. So far this is all that's in my beach bag. Once I'm in town and ready to go, I'll add a towel, my book, couple bottles of some frozen water, etc. 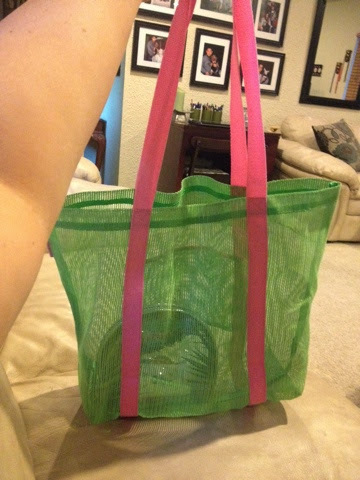 In this bag I've just got some sunscreen (face and body), some wipes to freshen up, hair pick, hair ties, bobby pins, clip, a mirror, lipgloss, Fresh Sugar Balm with SPF 15, and a balm stain. I don't wear makeup on the beach, EVER. But a little pop of color on the lips gives you a look somewhat more put together. And, it looks so chic under a floppy hat and sunnies! The inside of my carry-on. I always worry when traveling (especially out of the country) that my luggage will get lost. I always pack some essentials that would get me through in case that happens. I have a change of clothes, a pair of underwear, and a bathing suit in here. 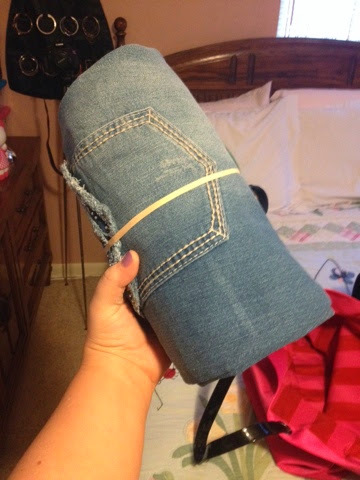 I roll those up and secure the roll with a rubberband to keep them neat. My book I'm currently reading (again, I will move this over to my beach bag once I'm there), sunglasses, MK phone case/wristlet, passport holder, cosmetic bag, and all my liquids already in ziplock baggies ready for the airport. 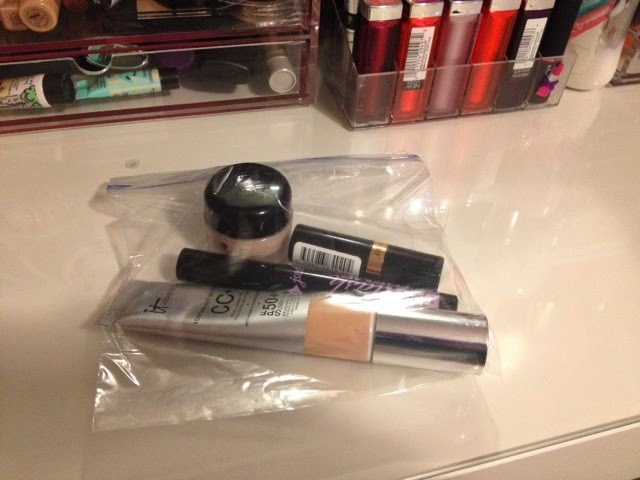 I have a second baggy with allergy drops and hand lotion as well. The only items I added to my makeup bag for this trip were my It Cosmetics CC Cream (SPF 50) and my Olay CC brightening eye cream. That is all I plan on wearing during my trip. 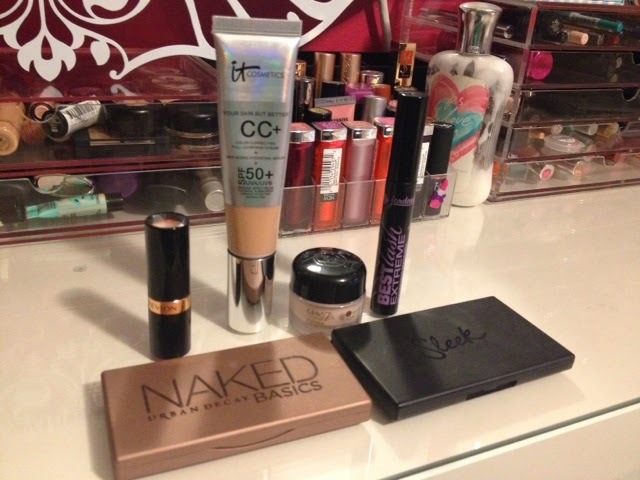 I also added a bright lipstick (Revlon Siren...LOVE), and a mascara. 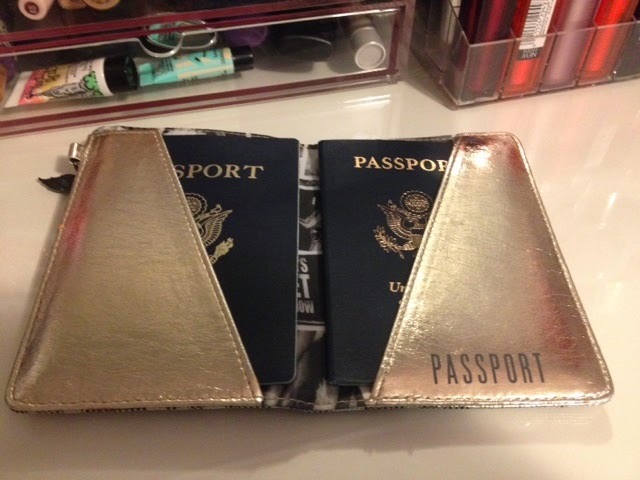 Again, just in case my luggage gets lost, I took my UD Naked Basics palette and Sleek highlight/blush/bronzer kit out of my travel makeup bag and put them in my carry on. Motrin, powder compact, UD Naked Basics, Sleek Cheek Kit, hair ties, clip. 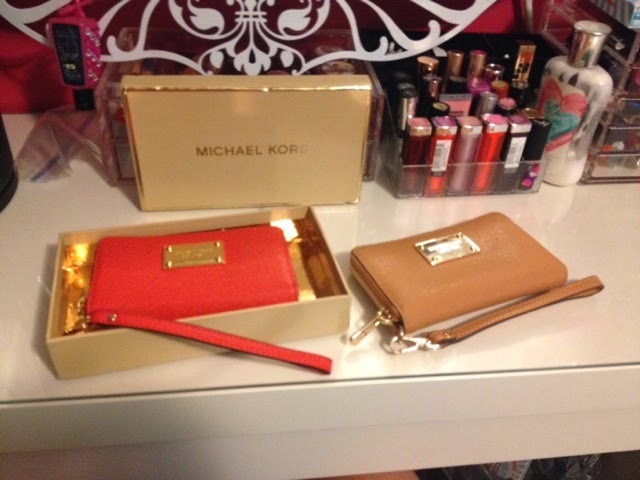 Best wristlets ever. They also hold your cellphone. 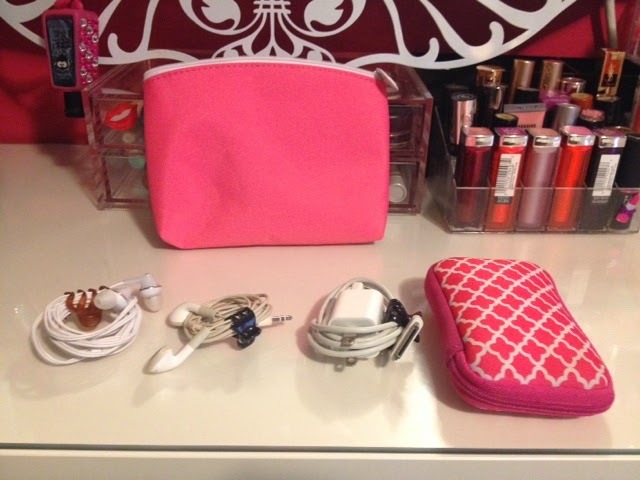 The middle compartment is where your phone goes. I'd show you but I was using it to take my photos! I like to have my electronics on me as well. 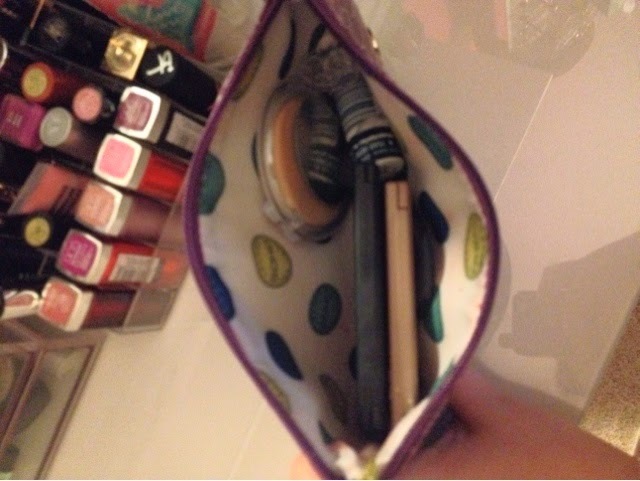 In this glam bag from Ipsy I put my phone charger, some ear buds, and a camera. And the last thing I added was a scarf in my carry on. A big scarf is a necessity when traveling. 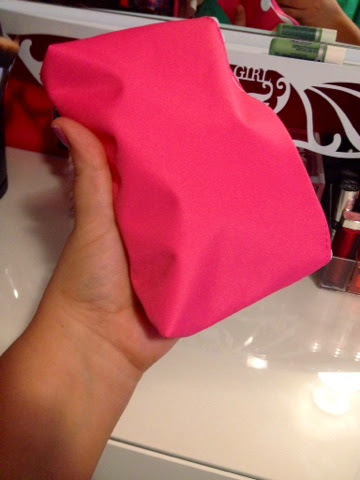 You can use it to cover up with if you get chilly on the plane, you can bunch it up and use it as a pillow if you need it, wrap it around you at the beach as a coverup or sarong, drape it over your shoulders and use it as a pashmina for nights walking along the beach, etc. 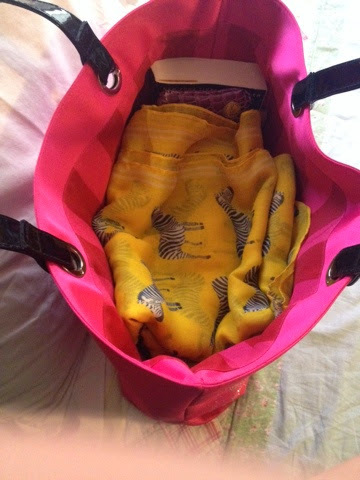 Folded up in your bag it conceals your goodies too. Keep it on top for easy access! Alright, guys. 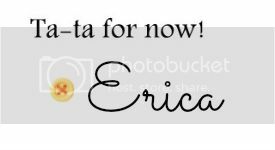 I know that was like the longest blog post in the history of blog posts, but I wanted to be thorough. Any questions, don't hesitate to contact me. 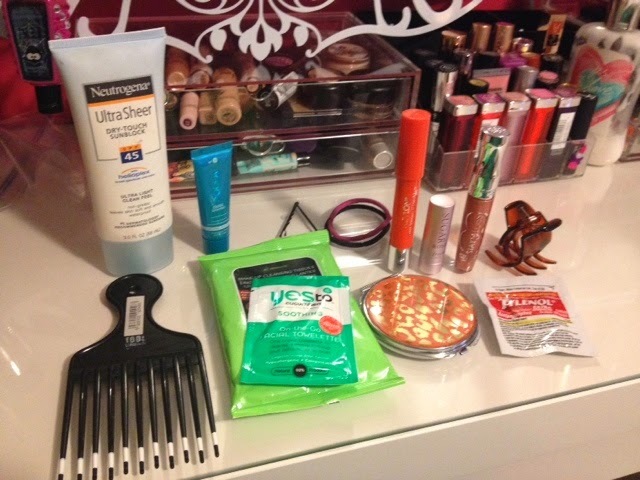 Thanks and hope this helps when you're packing for your next beach getaway! 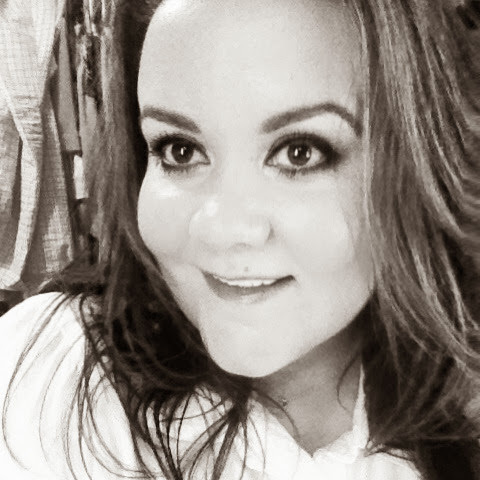 Ciao...or should I say, Adios!